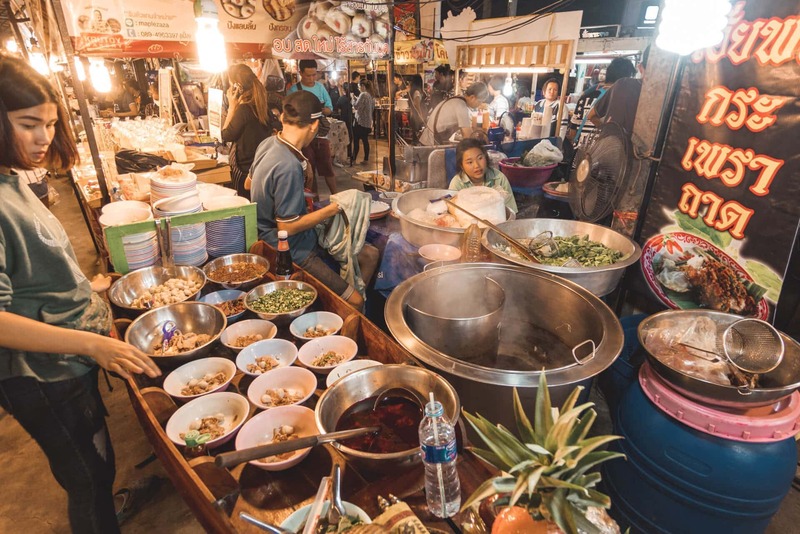 Bangkok is famous for its food markets, souvenir markets, floating markets, you name it. Their all quiet touristy and sell the same items. 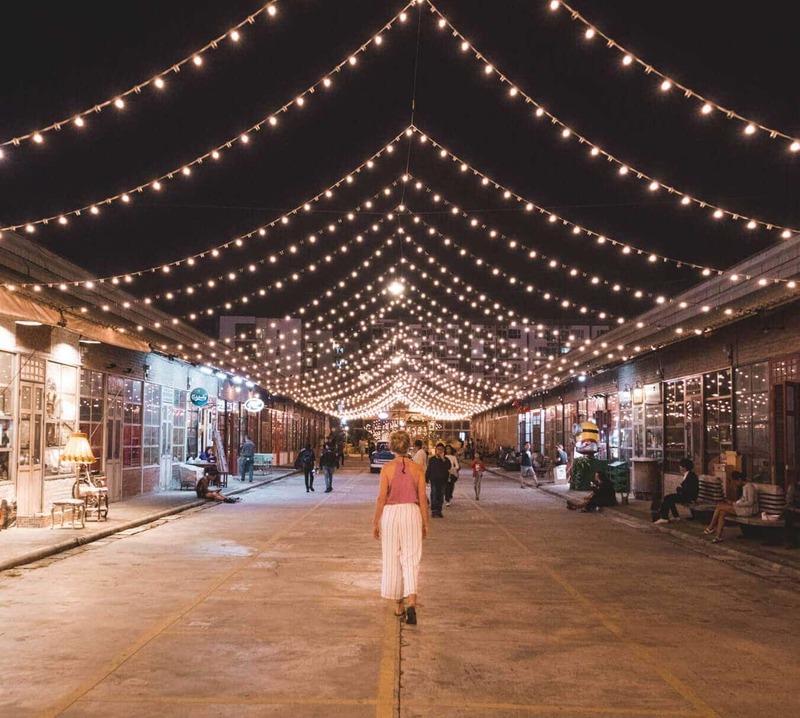 There is one night market in Bangkok that isn’t like the ones you know: Rot Fai Market, better known as The Train Market. 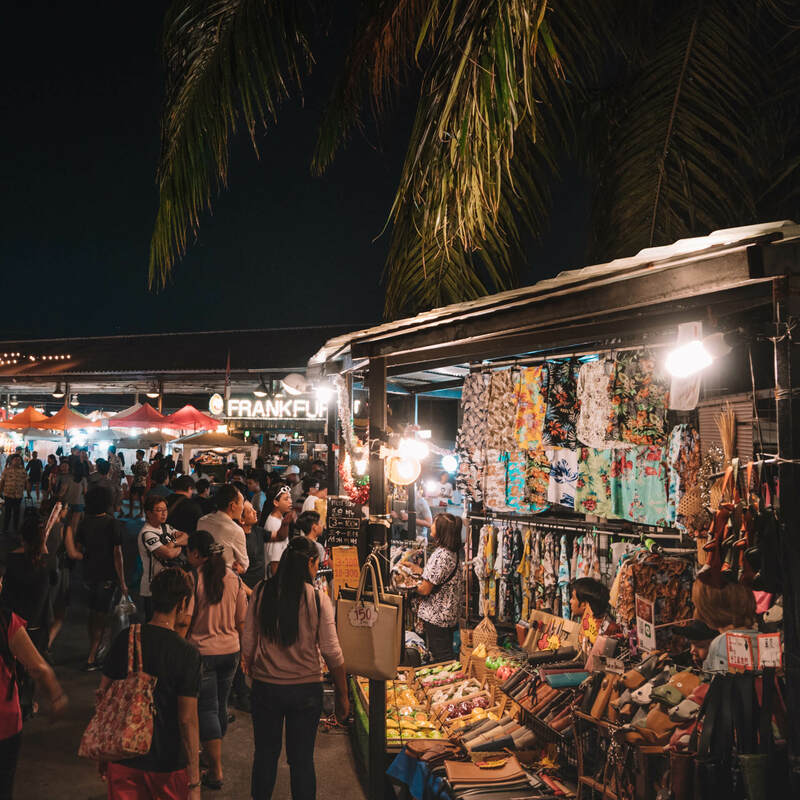 It is an open-air, 2000+ stalls, trendy and inspiring market in Thailand and the best thing is, you will be one of the very few tourists. The Rot Fai Market is located outside of the tourist area of the city and has become incredibly popular with local, especially young, people. The second market has opened its doors a year ago which you can reach by BTS. So there are actually two markets now. We do recommend visiting the market outside of the city which is the original Train Market. 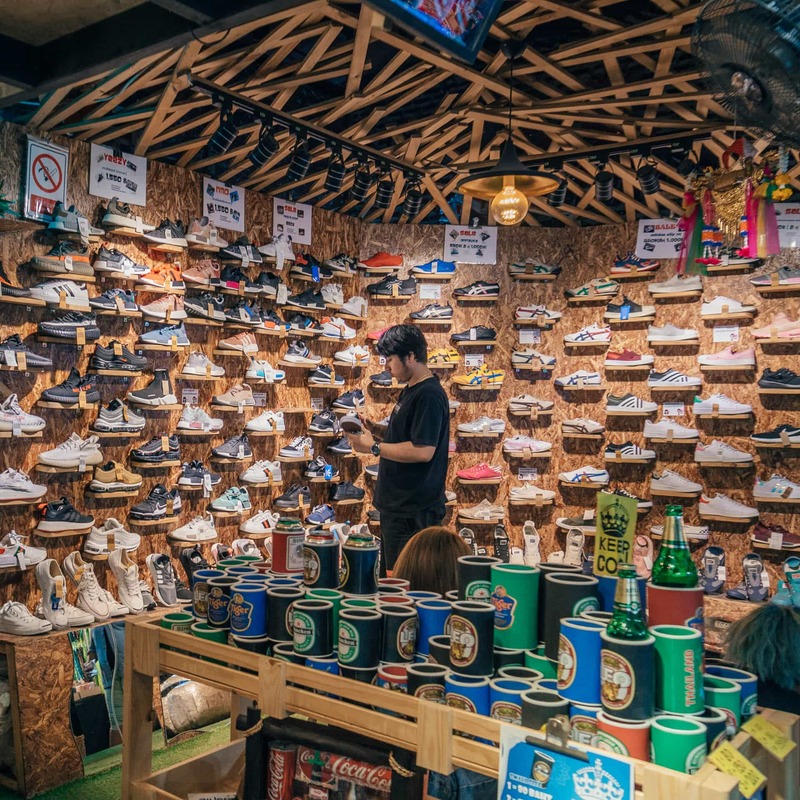 The Rot Fai Market is a huge market with over 2000 stalls selling vintage and new clothes, footwear, beautiful accessories, and furniture. 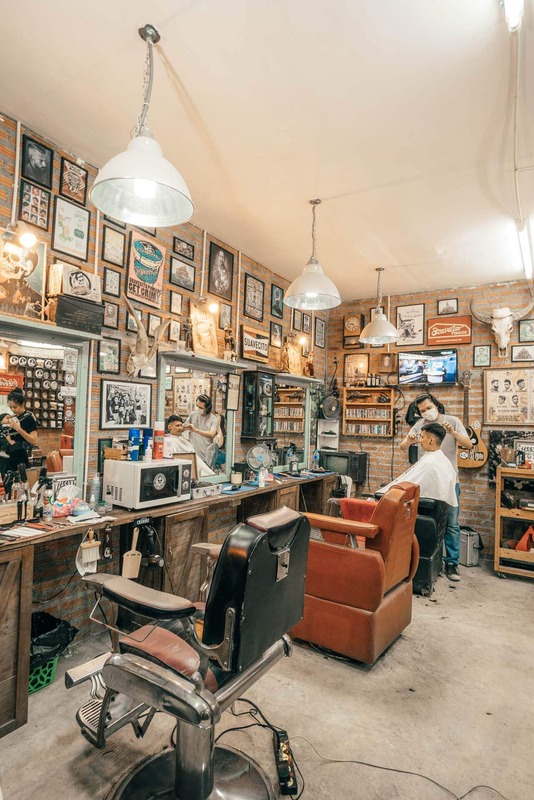 Wait, there’s more: Get cut at one of the barber shops, admire the oldtimer cars, or get a drink and some food at the many bars & food stalls. 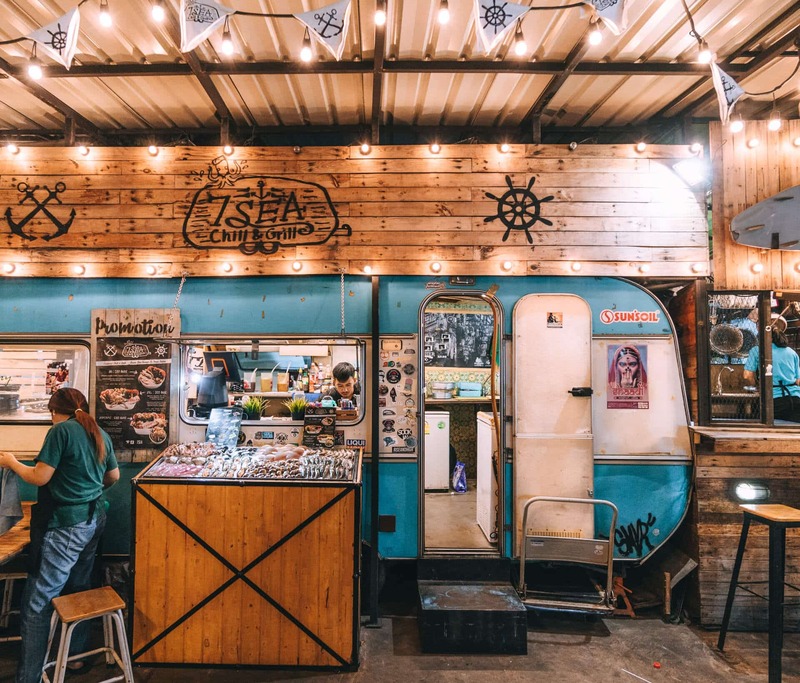 Take it all in and get inspired by the ‘hipster’, creative, vibe of the Rot Fai Train Market. 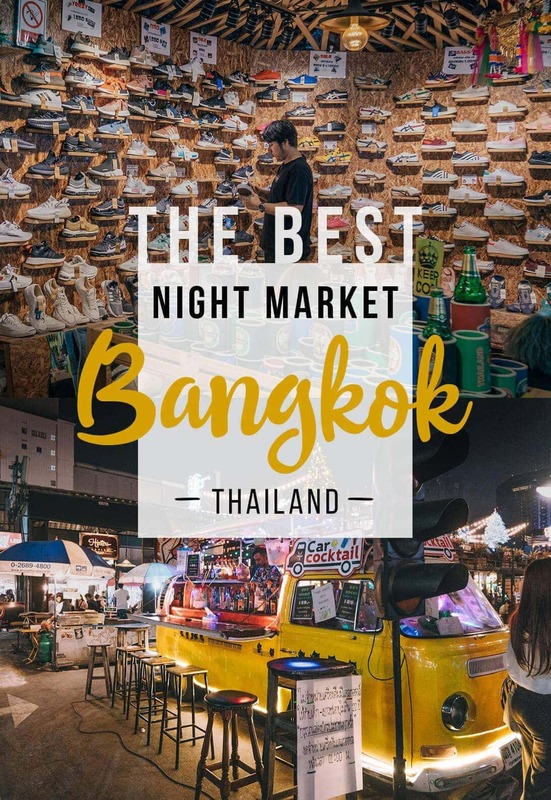 And: Few tourist visit the Rot Fai Market because of its location, so you will get a fair price and there is no need to bargain. There is a huge selection of food on the Rot Fai market. Barbecued meat, fried noodle, ice cream and drink stands. Menus are almost all in Thai, which automatically tell you it’s going to be a great dinner. Like to go for a drink? 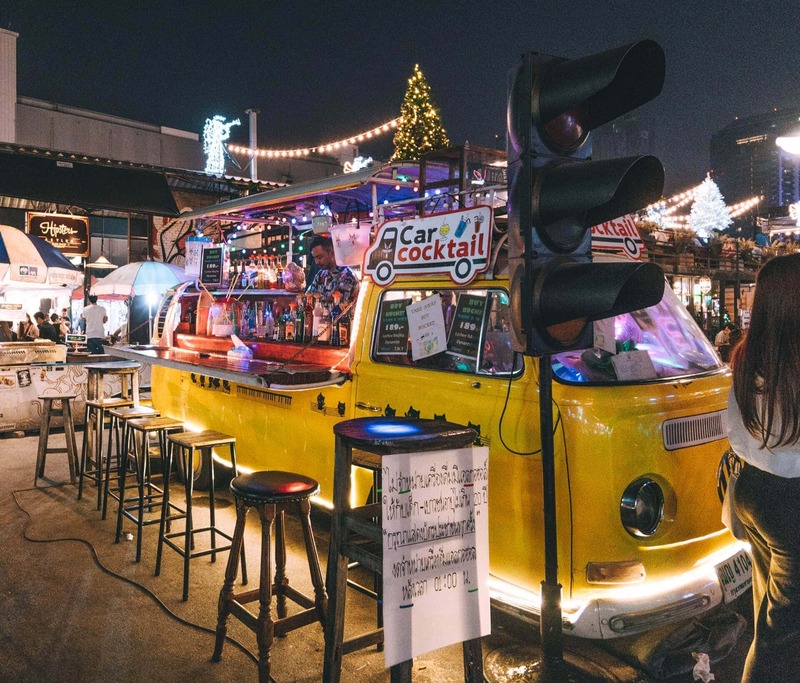 Enjoy a night out at the Rot Fai Market with live music from bands playing, all kind of beers, cocktails, spirits and soft drinks prepared in old VW’s or colorful caravans. The bar area is a 20+ area. The original and biggest Rot Fai Market is located at Srinakarin Soi 51, just behind Seacon Square Shopping Mall. It is the easiest to go there by Grab or Uber since a good public transport connection is not really there. The New Rot Fai Market is easier to reach. This one is slightly smaller and more focused on clothing and food. Do remember this one is busier because of its location in downtown Bangkok. Take the MRT and get out at the stop: Thailand Cultural Centre. Location: Ratcadaphisek Road (next to Esplanade Shopping Mall). 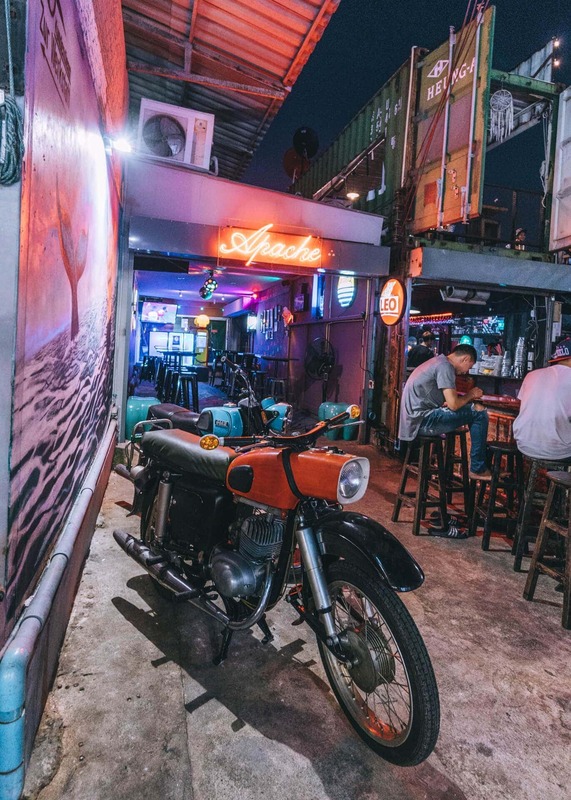 If you’re looking to stay near the Rot Fai Market than search for an Airbnb in the Sukhumvit area. If you want to have a hotel than Find the best places to stay in Bangkok.